Happy New Year...Talk to the Hand! 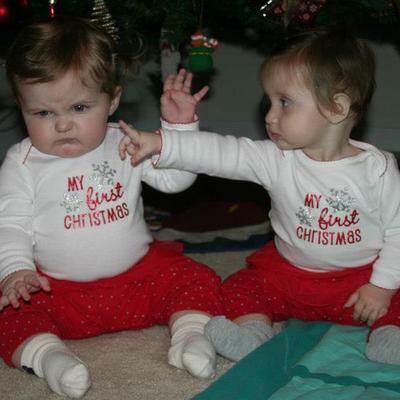 TwoCute™ Twins Photo Contest - January 2013 Winner! One baby was crying, the other was sucking his thumb. The crying baby turned his hand and latched on to his brother's pinkey finger, settled him down instantly. They were less than a month old.